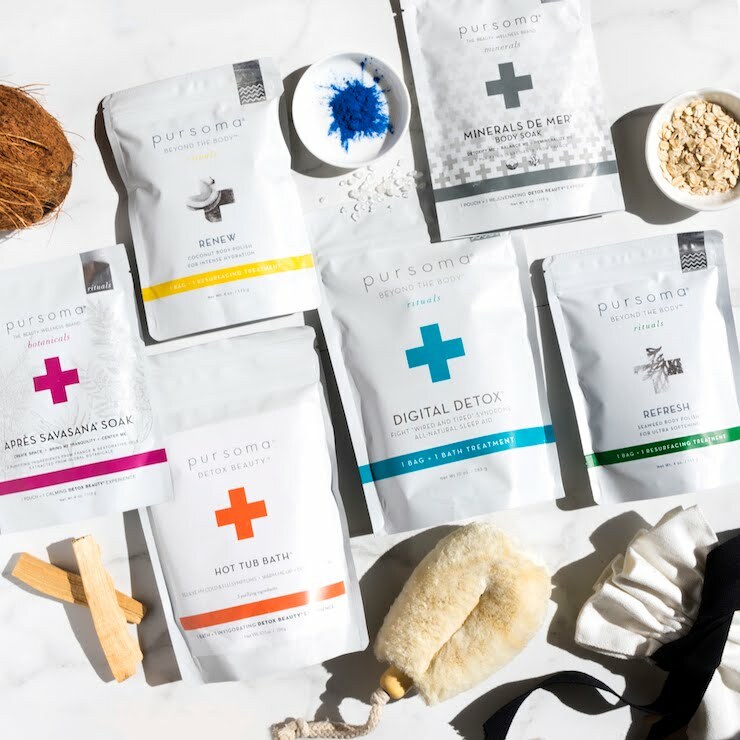 Through the years of using and trying out Earthwise Beauty products I came to deeply appreciate and love pretty much all of the super potent and active blends Ava has created. Some are of course more in line with what my skin needs and this is where I really notice the differences and uniqueness of Earthwise Beauty products and how some work amazingly well on my skin, and others are more suited for my mom’s skin, which is normal to dry, mature skin. Just to give you a bit of an insight into my skin type, if I would describe it with one word I would say it’s combination. But as you may know skin is always changing and the skin type and the problems you might had five years ago are no longer there today. So to be more precise, my skin flows from being normal-ish to oily, it really depends on the time of year, my diet, hormones, stress. But for the most part it is combination. My main concern is hyperpigmentation and since I just recently turned 31, I’m very appreciative of products that support well aging and help my skin to stay plump and firm. 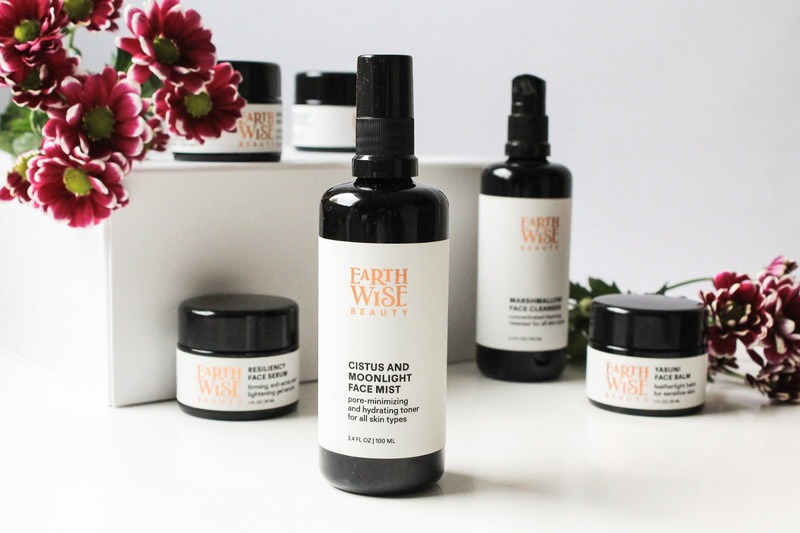 To achieve radiant and healthy skin so many of us strive for, I’m going to share with you my tips and tricks on how you can layer Earthwise Beauty skincare products and get the most out of them. Let’s start with the most important step in your skincare routine, cleansing. I went to bed with a full face of makeup only once. That was more than ten years ago and I did try to remove it with water. You can imagine that didn’t go down very well. From a young age of 14 or 15 it was ingrained in me to always remove makeup and cleanse my face before sleep. I think that properly cleansed skin is the best way to achieve clearer and healthier skin, and it also assures that all the serums and creams can penetrate deeper into the skin. Makeup and impurities can additionally clog pores and the result can be congested, dull skin. For my evening cleanse I’m the biggest fan of using cleansing oils & balms and removing them with a warm washcloth. There are many wonderful products on the market, I recommend using those that are full of organic ingredients. For the longest time I was using organic, extra virgin coconut oil as my first evening cleanser and that worked so well for my skin. It can be comedogenic and can clog pores so be careful of that. If you haven’t used an oil cleanser, it should be applied on dry skin (that is key!) and massaged all over the face, including eyes. Once the oils dissolve all the makeup, sunscreen and dirt on your skin, take a washcloth (I love organic cotton cloths but you can also use muslin) and rinse it with very warm to hot water. Lay it over your face and neck, gently press onto the skin and leave it just like that for about 30 seconds. Or at least 10. Not only that the heat will additionally help to clean out your pores but it will also have a beneficial effect on your lymphatic system. Then gently wipe off the makeup and cleansing oil/balm, rinse the washcloth and repeat with the clean side. Then it’s time for a second cleanse and for that I love the Marshmallow Face Cleanser* (my review here). This is a very concentrated, slightly foamy cleanser for all skin types, and can be used in the morning as well. A little goes a very long way with this cleanser and it lasts absolute ages. The herbal infusion of Marshmallow, Calendula and Chamomile is really special and I love that it is so very calming, soothing and hydrating. Second step of the routine or the first step in layering products is to apply a toner or a mist. Cistus and Moonlight Face Mist* (review here) is so much more than you regular mist. It is filled with not only good ingredients but also good energy. Ever since Earthwise Beauty’s rebranding, I’ve been really drawn to this mist and I’ve been using it every single day, usually twice a day. I love that it contains Aloe Vera juice, which is a humectant - it helps to attract water to the surface of the skin, and also delivers hydration to the deeper layers. As the name suggests (Cistus and Moonlight), the main ingredient is Cistus (there is cistus hydrosol and its essential oil), which is recommended for reducing signs of aging, it is pore minimizing, naturally antibacterial, anti-acne, and nurturing, yet non-drying and extremely mild. In the mist are also flower & gem essences. I find this very unique and I really love it! In the mist are included essences of rainbow moonstone, clear quartz and Pacific Northwest pink pholx, just to name a few. This mist is non-comedogenic and not only that it can be used as a face toner, it can also be used as an aura mist, for emotional and spiritual benefits. 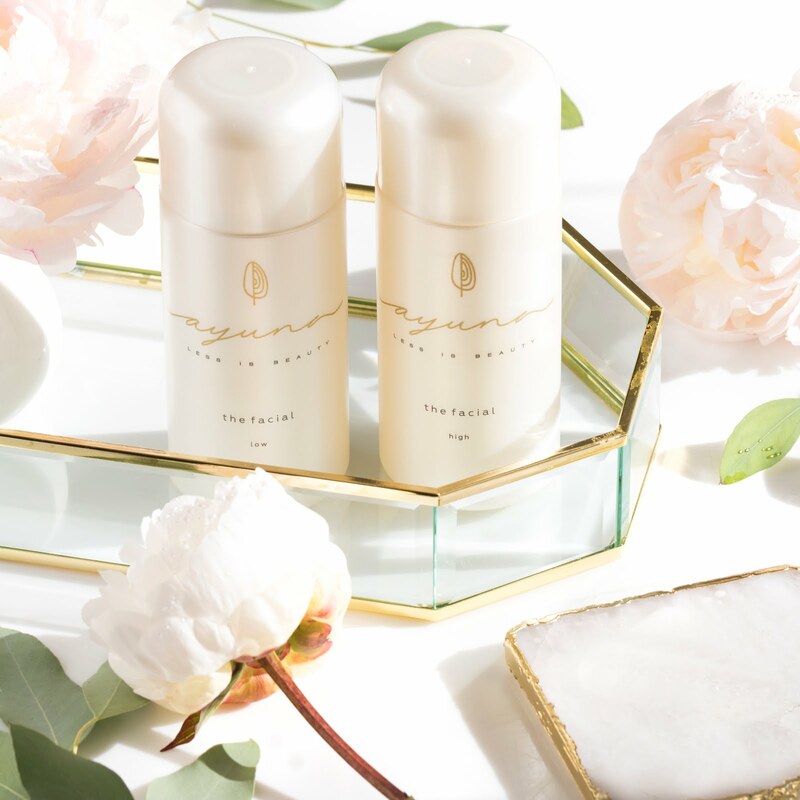 Mists can be the most understated products but you can literally use them all day long. Yes, they should be used after cleansing but you can also layer them between other steps of your skincare routine, and after you apply your makeup and simply throughout the day when you feel like it. Next skincare product to layer on the skin is a serum, preferably an aloe vera based serum. 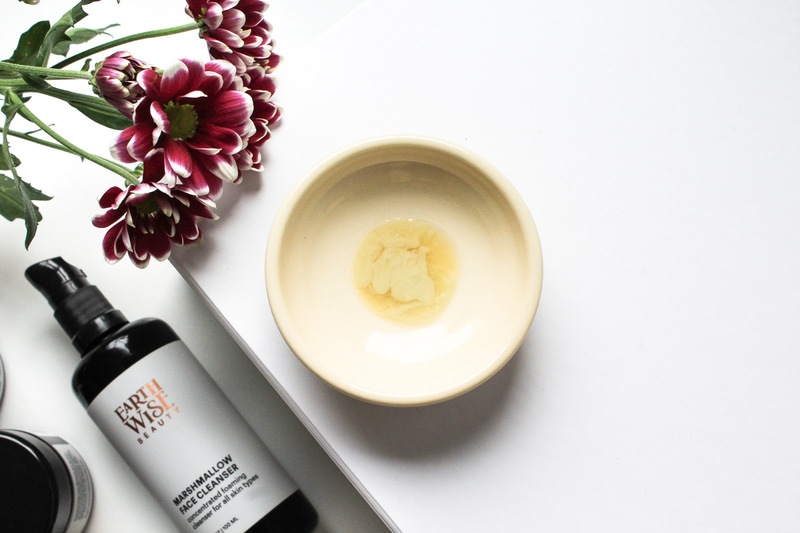 If you would like to treat hyperpigmentation, redness, inflammation, if you want to brighten, revive and deeply hydrate your skin, then my number one recommendation would be the stunning Nap in the Meadow Face Serum (review here). This is my absolute favourite serum Earthwise Beauty has to offer and is actually one of the best serums I’ve tried (and I tried quite a few). It’s cooling, anti-inflammatory, soothing, brightening and so hydrating. I highly recommend it for all skin types, from teen, oily, acne-prone to dry and dehydrated skin. 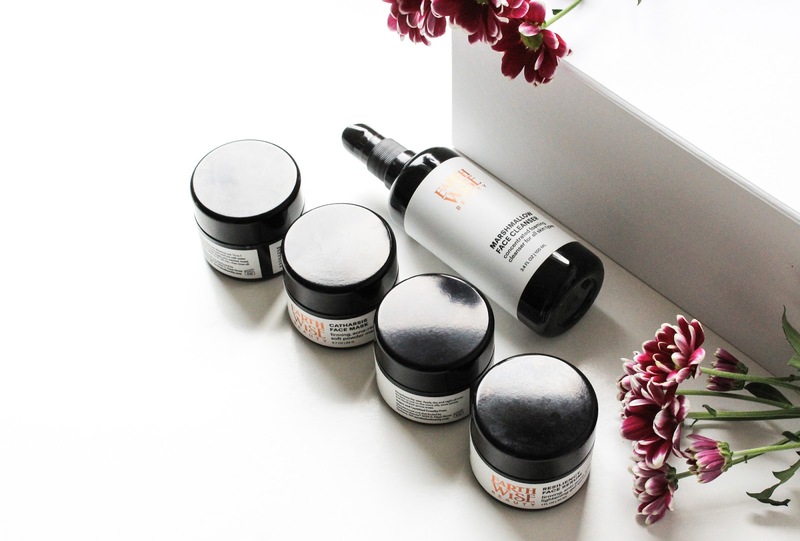 Daily use truly transform the skin and tremendously helps with hyperpigmentation spots and dryness. 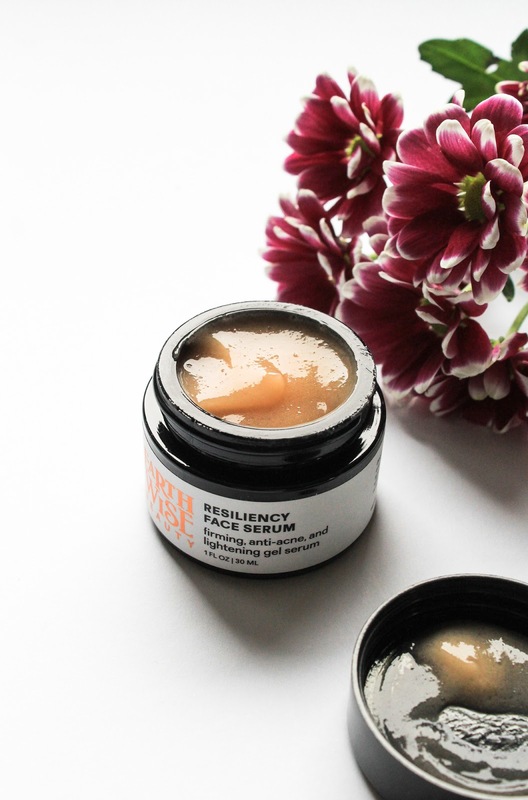 Another cooling product, which is more firming, rejuvenating and quite hydrating is Resiliency Face Serum* (review here), which you would also apply right after toning your skin. Apply the serum all over your face and neck, and don’t forget about the delicate skin around your eyes. Resiliency serum is so lovely to use as an eye serum, either on its own or layered with an oil or balm. After a hydrating serum, I always recommend applying an eye serum next. 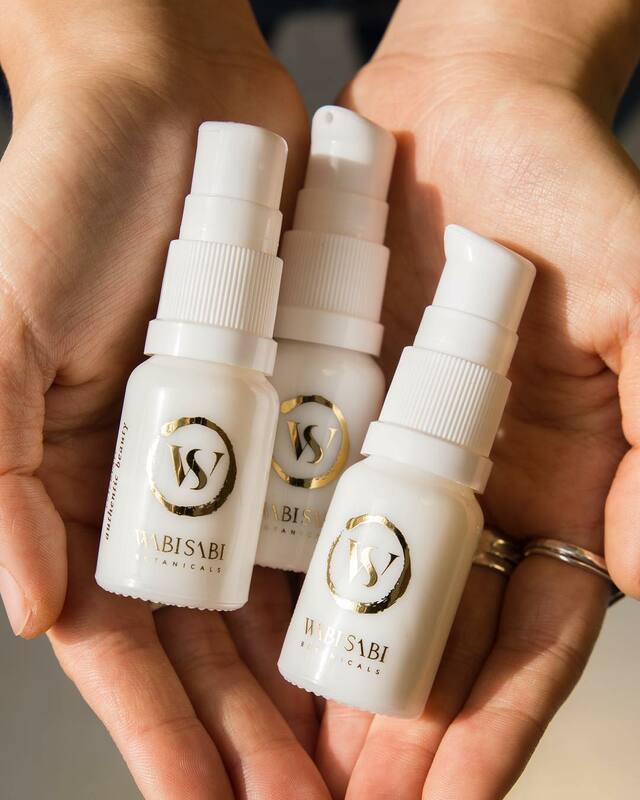 You would want to apply Passion Eye Serum first, so the other oils and butters you might put on next won’t block the beneficial oils in the serum which are specifically there to nourish the delicate & thin skin around the eyes. Deposit most of the product on the outside of your eyes and with your ring fingers tap it under and around your eyes. Be gentle and don’t tug on your skin (I should mention that this goes for the cleansing step too, especially when you’re removing mascara). 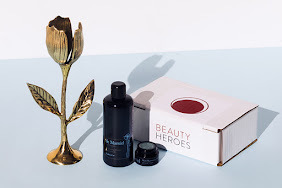 This serum is quite lightweight so in the evening I would recommend applying another oil or balm on top - Ferns and Moss Face Serum would be a wonderful choice. Facial oils. There are many different ways to go about facial oils but make sure that you always apply them on damp skin because water helps oil to penetrate more deeply. You can mix a drop or two of oil with the serum of your choice and be done with it. This is great if you have oily skin or if you’re just getting used to facial oils. I also heard that if you have (perioral) dermatitis you shouldn’t apply pure oils on your skin but rather mix them with a serum or moisturizer. What I really want to emphasize is to not be afraid of oils, even and especially if you have acne-prone skin. They are amazing at softening the skin, reducing scars, they help to balance out the skin and of course they also nourish & improve the elasticity. They are just so good and I urge you to hop on the facial oil train. If you have oily, acne-prone skin I recommend Ruby Face Oil (my review here), which is lightweight, rich in antioxidants and non-comedogenic ingredients. Ruby is my favourite oil from Earthwise Beauty (and I’m definitely not the only one who thinks that). It is just so beautiful! Another non-comedogenic oil is Ferns and Moss Face Serum but this one is more rejuvenating and moisturizing, but also healing and repairing. If dryness and sensitive skin are your top concerns, then Magical Babassu Face Oil sounds like the one for you. For the daytime use I highly recommend mixing your oil of choice with the amazing Farizad’s Veil Sun Reflector* (review here). This powder sunscreen contains only a few ingredients, including coral-reef safe & non-nano uncoated zinc oxide. I have been using this sunscreen for a couple of years and I can’t get enough of it! I love that it’s so customizable, it’s anti-inflammatory, doesn’t clog my pores but it actually helps to heal acne and of course also protects the skin from UV rays. In my opinion, applying an oil mixed with Farizad’s Veil should be the last step in the daytime routine. If you have dry, mature skin you can also apply some balm under the sunscreen, just so you get both - lots of nourishment and protection from the UV rays. Or you can simply mix the sunscreen powder with your favourite balm, like I do sometimes in the winter. I’m slightly crazy when it comes to SPF but I believe it is one of the best things you can do for your skin, especially in terms of premature skin aging. Not to mention that wearing sunscreen prevents pigmentation and if you ever have one of those pesky post-acne red scarring then don’t shy away from sunscreen. Sun rays darken the already existing pigmentation and the deeper the pigment is, the tougher it is to treat and the pigmentation just lingers and lingers on your skin for that much longer. If you are struggling with this particular skin problem (hyperpigmentation) then I highly recommend using Nap in the Meadow Face Serum and Farizad’s Veil mixed with Ruby Face Oil. Also look into the Sungod Face Mask* (review here), it brightens, revives and strengthens the skin. Last but most certainly not least are balms, which I’m all about in the colder months. 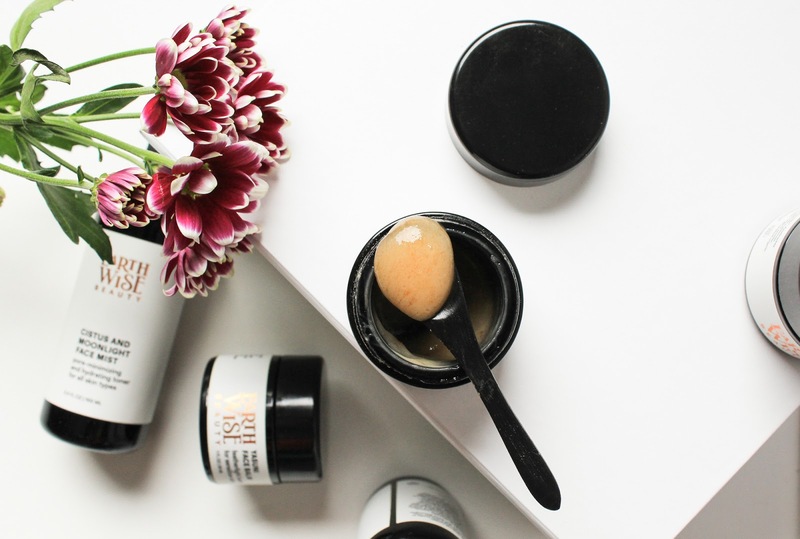 Balms are usually always used as the last step in your skincare routine, usually in the evening but in the colder months they can also be used in the morning. Earthwise Beauty has three balms and I’ve tried two of them. Tigress (review here) was my first and I was obsessed with it last year, and I still love it today. It’s so unbelievably beautiful! It is lightweight and full of non-comedogenic ingredients that support acne-prone, oily skin but it also works very well on dry and normal skin. Tigress heals acne and can be used as an all-over the face balm or as a spot treatment because it reduces inflammation. 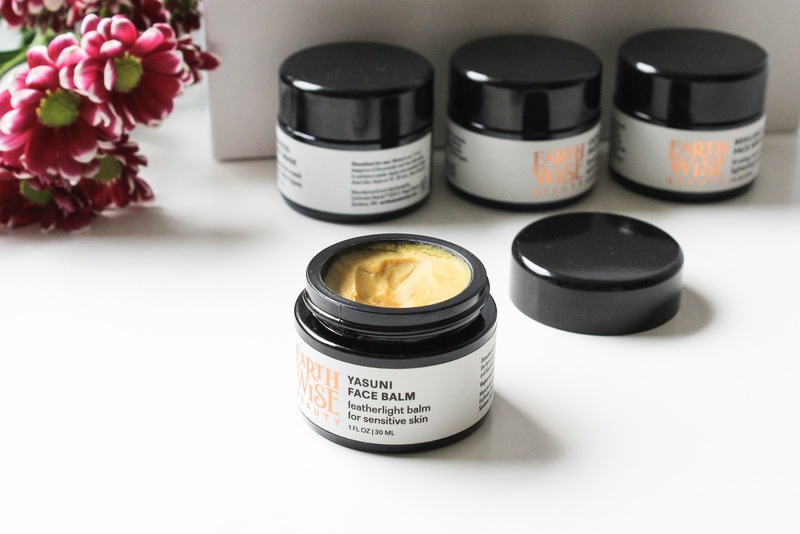 Even more lightweight than Tigress is Yasuni* (review here), which really is featherlight and is perfect if you have sensitive skin because it doesn’t contain any essential oils. It’s rich in antioxidants and also contains ingredients with enzymatic properties. 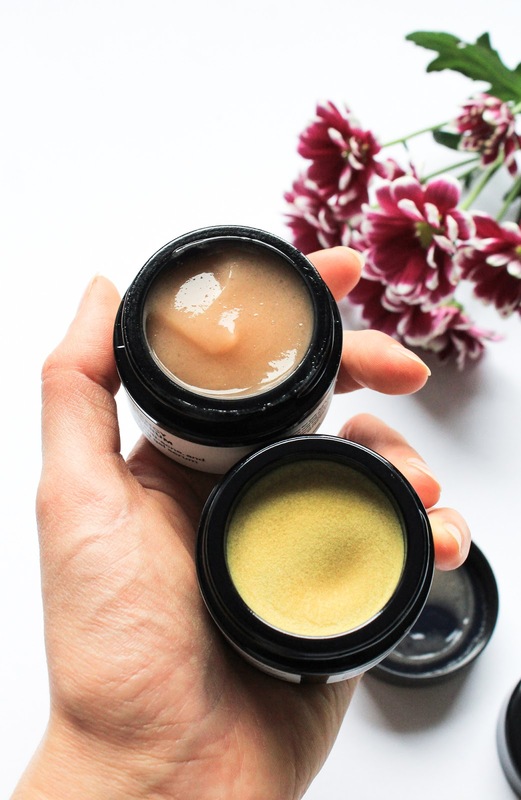 If your skin is very dry and/or dehydrated then perhaps one of these two balms won’t be enough for your skin. 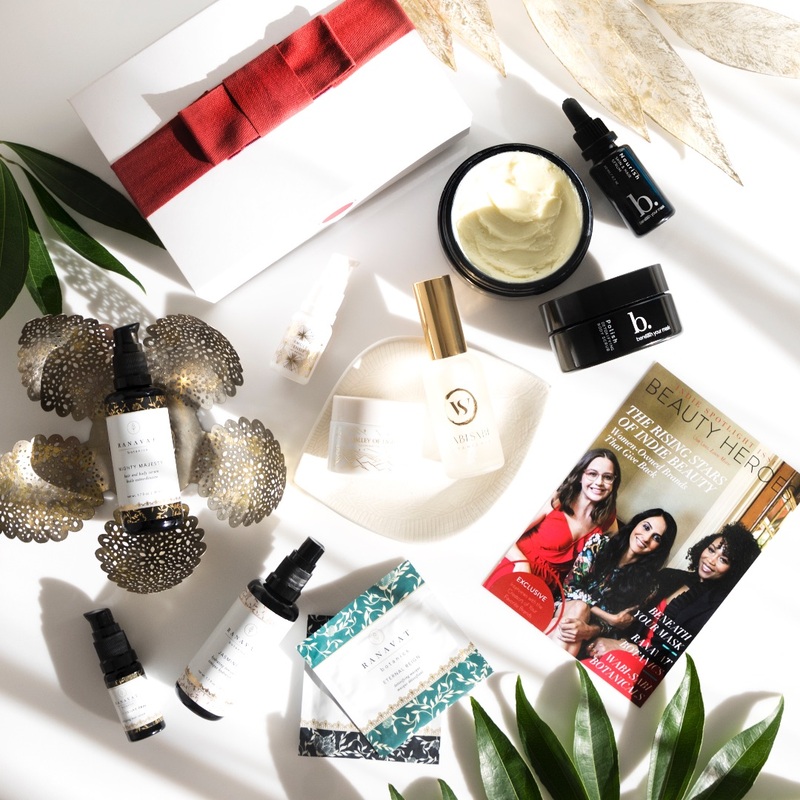 If that is the case then I urge you to use the very hydrating Nap in the Meadow serum underneath it and perhaps also one of their oils, either Ruby Face Oil or Ferns and Moss for more combination and Magical Babassu for very dry skin. 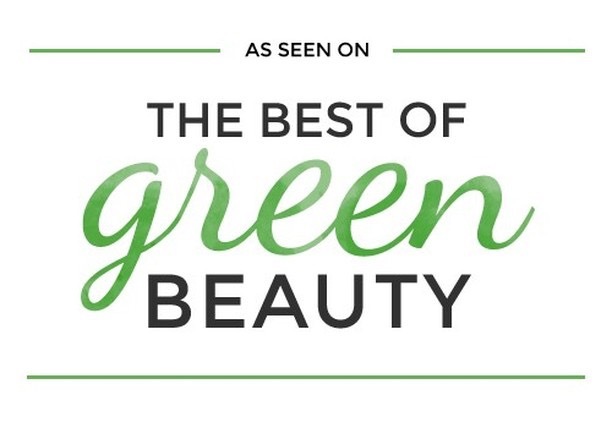 Earthwise Beauty has another balm called Green Leaves Face Balm, which is more suitable for dry and mature skin. It definitely wouldn’t be the first choice for oily skin because it contains coconut oil which can can clog pores. 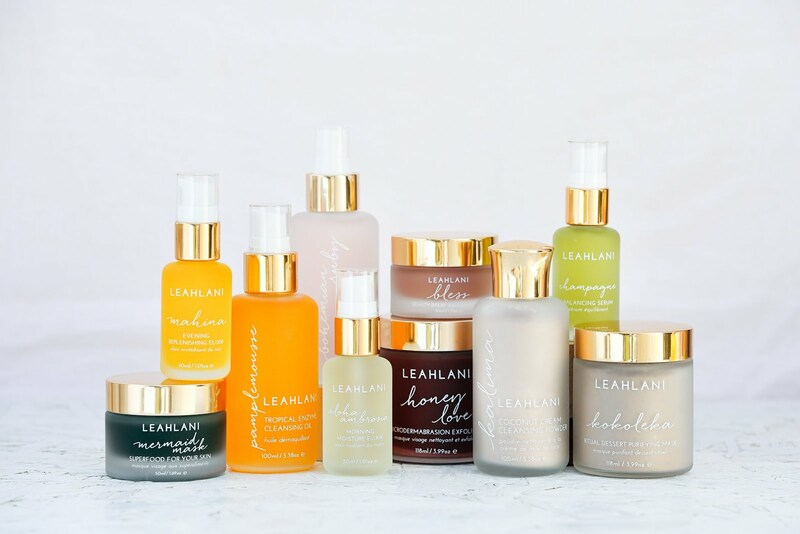 No matter which one you use, know that it will lock in all the goodness you already applied on your skin and additionally help to soften and nourish the skin. 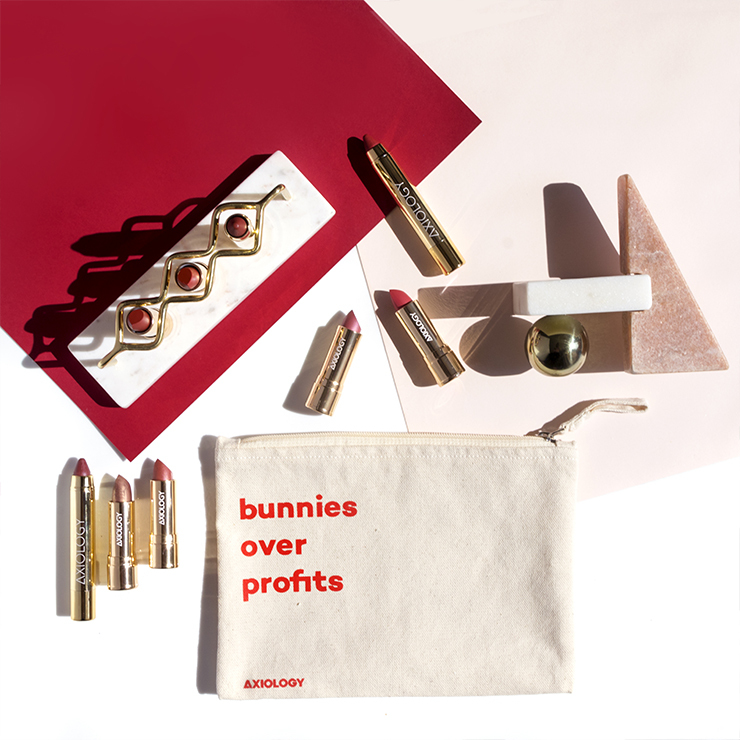 I know that I’ve bombarded you with a lot of information and even though it’s helpful and useful to layer products in a particular way, there are exception to the “rules”. I encourage you to listen and take a closer look at your skin. Some days you can do a full on routine & use all the products, and then other days you can use only a product or two, or even let the skin be as it is. I don’t want to complicate things even more but you can also experiment and use a serum over your oil and see how that works for you. If nothing else I would like for you to take one thing from my article - for healthy skin you need to properly wash it in the evening and apply a water or rather an aloe vera + oil based products. Skin needs both, hydration (water) and moisture (oil). So for example you can only use a mist and a oil, or a serum and an oil or balm, it all really depends on your skin type and its particular needs. 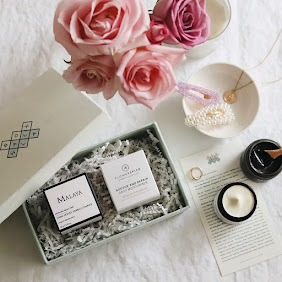 Resiliency Face Serum and Yasuni Face Balm are featured in December Boxwalla Beauty Box*, which you can get here (my review here). Use code "BlackFriday" to receive 20% off your order. The code will be valid from Black Friday through Cyber Monday. 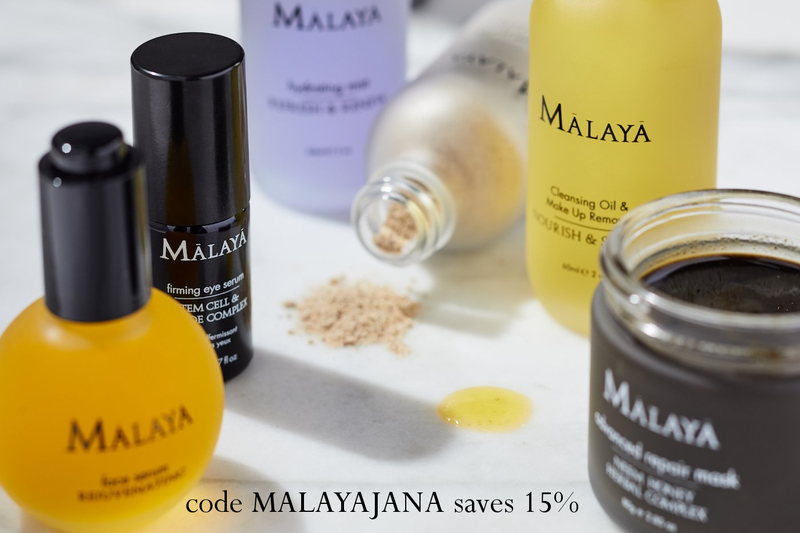 This offer is applicable for both Earthwise Beauty and Pacific Northwest Essences, though orders from both sites cannot be combined. As always you can also use my personal code "Loveliness" for 15% off. This code is a one-time use only. Hope you enjoyed this post. Have a lovely end of the week! 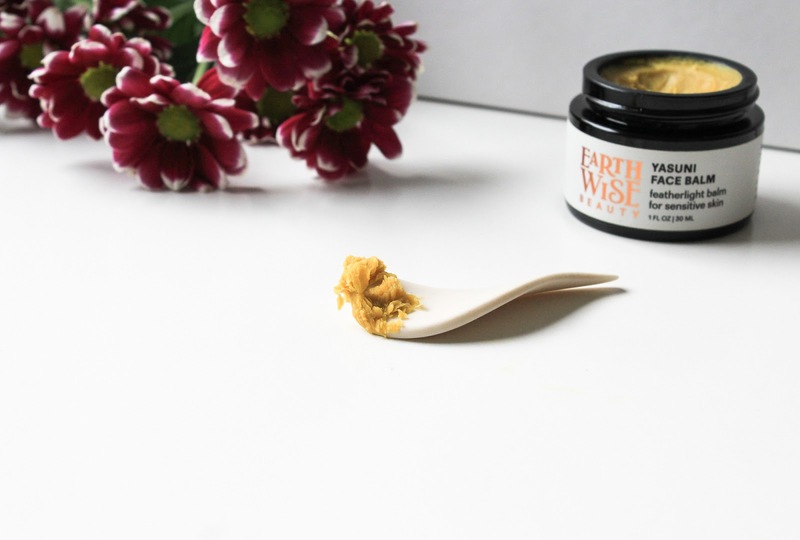 **I initially wrote this article for Earthwise Beauty's newsletter and it was sponsored but I decided to share it here on my blog as well. The links I used are affiliate links.